Sorry for the long delay in posting my summary of PASS Summit 2012 activities, but I needed to enjoy the Thanksgiving break off from work and travel. I left off on my previous post on Monday afternoon before the Networking Event that took place around dinner time. The Network Event has been done for many years now by Steve Jones (b|t) and Andy Warren (b|t) before PASS Summit starts and is always a good event to meet lots of people. For me I had overdone it earlier in the day so I wasn't feeling very well, so sorry if you tried to meet with me and I didn't make it around to talk to you. Thankfully the issues I was having passed later in the evening, but I wasn't sure what was going on for awhile that evening. Tuesday was the first day that I had Chapter Leader meetings to attend throughout the day. First was the meeting with all SQL Saturday organizers where we had many discussions on where we are with SQL Saturdays and where we want to take them in the future. Lots of very helpful information that we will be using for our next SQL Saturday on 9/21/2013! After lunch was the Chapter Leaders meeting where we split up into multiple different groups to talk about specific issues around starting/running/extending our User Groups. Again lots of great info that I will be looking forward to implementing in our group. Tuesday evening was the Welcome Reception put on by PASS. As usual I was a little bit late getting to this event again this year, so I missed the First Timers entering the party (maybe next year I need to be a mentor to force myself to be there when this happens). The party was big as it has been over the past couple of years, was still able to get to the food and drink without too much waiting though. After meeting quite a few people I headed over with a few of the Pragmatic Works guys to the Volunteer Party at The Garage. Even though I had paid for the Exceptional DBA Awards put on by SQLServerCentral.com & Red Gate, I wanted to attend the Volunteer Party since this was the first year I have been invited to it (hate it when there are multiple parties going on at same time). Had a great time bowling and watching the election coverage. Wednesday was finally the first official day of the Summit. It started off with Keynotes given by the current PASS President, Bill Graziano (b|t) and various Microsoft representatives. The biggest announcement that I picked up on are the changes to allow Multi-Dimensional cubes to be queried by DAX along with MDX, this puts Multi-Dimensional cubes on par with the newer Tabular models. Can't wait to see how this is fully implemented in vNext of SQL 2012 (this will not be included with SQL 2012 SP1 which was also announced). Also announced were changes to the ColumnStore Indexes to make the updateable and able to be clustered, should add some pretty cool new capabilities. The last thing that I remember from that Keynote was the Hekaton announcements, which is an in-memory OLTP solution that is supposed to add many X improvements in speed for most database solutions (assuming you have tons of memory on your servers). There were other announcements at the Thursday Keynote, but I didn't attend much of that one and heard from others that some of the demos were a bit long, lots of stuff around Big Data/Hadoop. As with previous years I didn't attend a bunch of sessions during Summit, I end up spending a bunch of time networking and volunteering at the PASS Community Zone and spending some time at the Pragmatic Works booth. It was cool to see the Summit from the perspective of an exhibitor this year, that was the first time I got to see it that way. I did attend a session given by Mark Stacey (b|t) on using NASA data with PowerPivot, which was really cool because he built the whole session around how to get and use the free NASA and ESA data that is out there in demos. Being a Space Nut this was right up my alley and gave me some possible great ideas for future presentations (thanks Mark!). I also saw a great presentation on setting up Kerberos with SharePoint, which as anyone that has done knows this is a real pain point and Chuck Heinzelman (t) laid it out in 7 steps, should help if I do end up running into this in the future. I was able to get to one of the Lightning Talk sessions (yet again in way too small of a room again this year) and saw Bill Fellows (b|t), Jes Borland (b|t), Niko Neugebauer (b|t) and Oliver Engels (t) present on some great topics. As with most conferences with any BI sessions there was a BI Power Hour at Summit again this year and as with the previous ones this did not disappoint in presenting more solutions with Microsoft BI that you probably never would have thought it could do. Great job by Matt Masson (b|t), Chuck Heinzelman (t), Peter Myers, Matthew Roche (b|t), Sean Boon (b|t) and of course Patrick LeBlanc (b|t). I have been to at least 6 different BI Power Hours over the years at various conferences and they are still by far the funniest session to go to. The last session that I remember going to was on the details of the changes to allow for DAX on the Multi-Dimensional cubes, sounds like they did a good job adding these changes in the right way, including no translation to MDX, just adding DAX as a full featured query language against the MD cube. As with every year there were tons of events in the evenings after the sessions stop, including the Exhibitor's Reception on Wednesday night that I had to try and work as "security" at the Pragmatic Works booth for the 200+ free books that Brian Knight (b|t), Adam Jorgensen (b|t), Mike Davis (b|t) and various other current/past Pragmatic Works employees were signing for free! Was a very popular thing at the reception and we were able to offer many more books to the attendees thanks to Wiley/Wrox being in the booth next to us and having boxes of these books there that they could allow us to give out. After we got rid of all the books at the reception, a few of us headed over to get setup at the Hard Rock Cafe for the Pragmatic Works, Microsoft and HP SQLKaraoke Event with a live band! Was an awesome party and the first time that I have seen karaoke done with a live band, which was really cool. Not sure how we are going to top that party next year in Charlotte, but I'm sure we will come up with something! :) Thursday evening was the night that we set for the annual Colorado Dinner at PASS Summit. As in past years we had it at Elliot's Oyster House and as always they were very accommodating for a group of 20+ people that were all paying separately and ordering whatever they wanted. After the dinner we caught a cab over to the EMP (Experience Music Project) to catch the end of the Attendee party. I love this museum, in fact I have been there so many times over the years that it is one that I actually went ahead and became a yearly paying member of. I got to go down to the Science Fiction Museum that is in the lower 2 levels and enjoy all of the great exhibits from my favorite TV and movie memorabilia There was even more SQLKaraoke with a live band there, guess that is the new trend for the Summit this year. I didn't make it to SQLKaraoke at Bush Gardens until Friday evening this year, just too much going on during the week. And that is it for another Summit, it was a crazy week that went by far too fast. I had a great time meeting everyone for the first time and again and I'm already looking forward to 2013 in Charlotte! 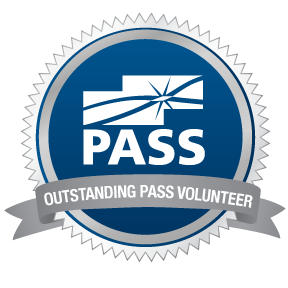 While I'm sitting in the Atlanta airport waiting for my connecting flight to Columbia, SC, thought that it was a great time to get some of my thoughts on last week's PASS Summit 2012 posted. This post will cover the activities I did before Summit. I arrived in Seattle on the Friday morning to spend some time with some of the other Pragmatic Works folks in the Mount Rainer area. Being in Denver, I'm not in direct contact with most of the other Pragmatic Works people on a regular basis, so this was a great way to get to know more of them. Friday night we all ate at the cabin, thanks to Brian Knight our chef for the evening. The cabin was pretty cool, if not a bit old. Had a fireplace, pool table and Foosball table and tons of beds for all of us. We all attempted to hike up Mt. Rainer first thing Saturday morning. Weather was not great as we left the cabin, raining, foggy and pretty windy. We got to the parking lot to get all of our gear setup and this was the first time I have ever hiked anything more than just some paved trails in Colorado, but I figured I live a mile high so I shouldn't have too many issues. Oh, was I completely wrong! Didn't take me very long to realize that even living at altitude doesn't help if you don't also work out regularly at altitude (those that have seen me recently know just how out of shape I am). Thankfully we were prepared for the full group of 9 people to split up into at least 3 smaller groups as the hike went on. I quickly feel back into the back group, which was great because we were all pushing each other on to continue even when at different times all of us wanted to just quit and go back. We got all of the way up to around 7000 feet and to the point where the snowfield starts and we would have to put on our snowshoes. That was when Mt. Rainer really let us know that it was in control and the wind was blowing at 30mph+ with sleet and snow blowing in our face. We stood there for awhile and realized that we could see the first of the groups coming back our way. Turned out that not too much farther ahead they hit snow that was waist deep and even harder going, so we all made the decision to head back to the cars. No one got to the goal of the basecamp (Camp Muir) this year. According to others that have done this hike at other times the snow was higher then they have ever seen it. It was very grueling for me, but I'm glad that I tried it and made it as far as I did. I don't think that I will ever need to try and hike a mountain again, but you never know. After the Mt. Rainer adventure all of us headed back to Seattle on Sunday morning. Before leaving I made breakfast for everyone. Thankfully I didn't make anyone sick (or at least they didn't tell me) with my French Toast, Bacon and Hash Brown feast. On the way into Seattle we all stopped at the mall in Bellevue since some in the group wanted to stop at the Microsoft Store and see about getting a Surface. I had seen Brian Knight's Surface at the cabin previously, so I didn't see the need to get one (I'm already an Apple fanboy, I'm more interested in the Windows 8 Pro tablets). This was also my first time in a Microsoft Store, definitely looks like a copy of the Apple Stores, guess you need to copy something that works! :) While I didn't get a Surface I did wander to the back of the store and found an awesome Ogio Bandit backpack that is White and Black with Gold highlights. As soon as I saw that bag I had to have it since those are my Alma mater's Purdue University colors (only thing missing is Purdue patch, which I'm going to fix). After a couple of people bought Surface's we headed off to P.F. Chang's for lunch. Was great to sit down and talk about the weekend and prepare ourselves for the week to come. We headed out of Bellevue into Seattle and dropped everyone off a their hotels for the next week. I was staying at the Sheraton again this year. Definitely my favorite hotel for PASS Summit in Seattle since you only have to walk half a block to get into the convention center (wish it was cheaper though). The only thing that I found after checking-in that sucked is that our normal staging area for post-conference activities each night the Sheraton bar was closed for renovations. Now we would all have to use Twitter to find out what was going on or make sure to contact attendees at the conference/hotel as we saw each other. On Monday I didn't have any PASS Summit related activities, so I got up early to make a visit to Top Pot Doughnuts. If you have never been to Top Pot, you should definitely try to go next time you are in Seattle, very good doughnuts! After that I walked down to the pier area to walk around and saw the new Seattle Giant Wheel that was under construction that last 2 trips I made to Seattle. Before lunch I meant up with a few other Pragmatic Works people to take the Seattle Underground tour. I have done this tour twice previously, but it is always great to go on this tour to get the different stories on Seattle's very colorful past. If you have not done the Seattle Underground tour, you should best tour I have done in any city I have visited. Grabbed some lunch after the tour and then headed back to the hotel to recharge before the Networking Event that evening. That covers all of the pre-Summit activities, so I'll post the details on the rest of the week in a future post. 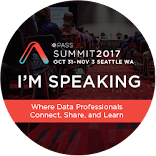 Just a quick note that I will be going pretty much straight from PASS Summit 2012 in Seattle (stay tuned for detailed blog post on this) to Columbia, SC and presenting "SSIS 2012: More Than Just a Pretty UI" at the Midlands SQL PASS Chapter meeting on Tuesday, 11/13 at 5:30pm. If you are in the Columbia, SC area on Tuesday, 11/13, please stop by. 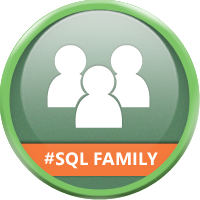 Looking forward to presenting at another PASS SQL chapter next week! For more details go to the Midlands SQL PASS Chapter website.